Happy Friday, friends! I hope everyone has a fun, relaxing weekend in store. Throughout the week, life can be so busy, so I think the best way to share some inspiration is through Instagram. Here are a few of my favorites from this past week. Sometimes, the brighter the outfit the better! I have been on a mint spree lately. This nail color (Seafoam by Gelish) seemed to be the perfect choice for a fresh mani. Taking my favorite monogrammed tumbler to school makes the long hours spent in class so much better. 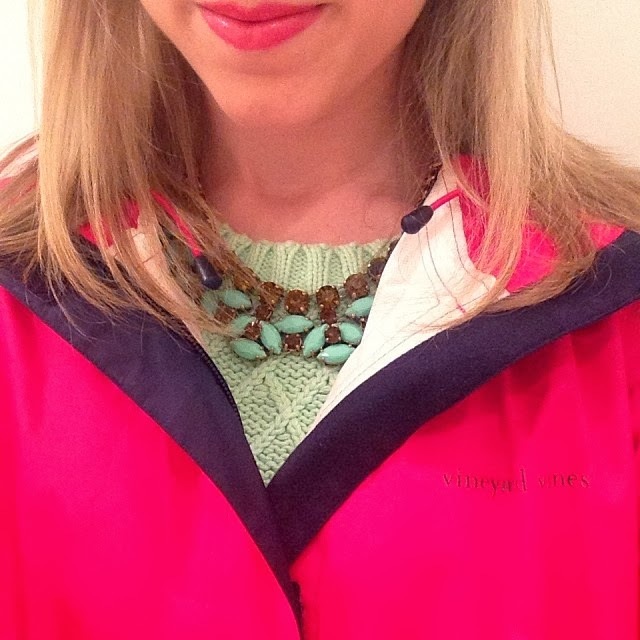 Yesterday was such a rainy and cold day, so I decided to brave it in my favorite VV pink rain jacket. 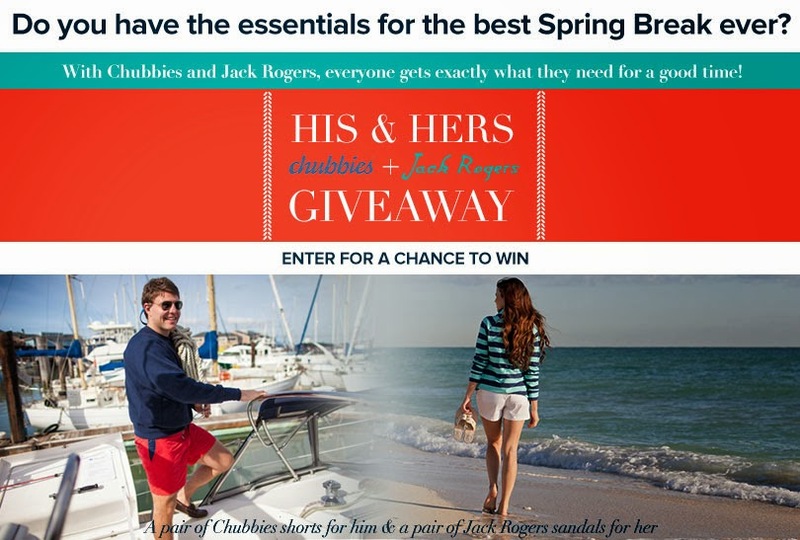 Also, have you heard about the exciting Jack Rogers + Chubbies giveaway? 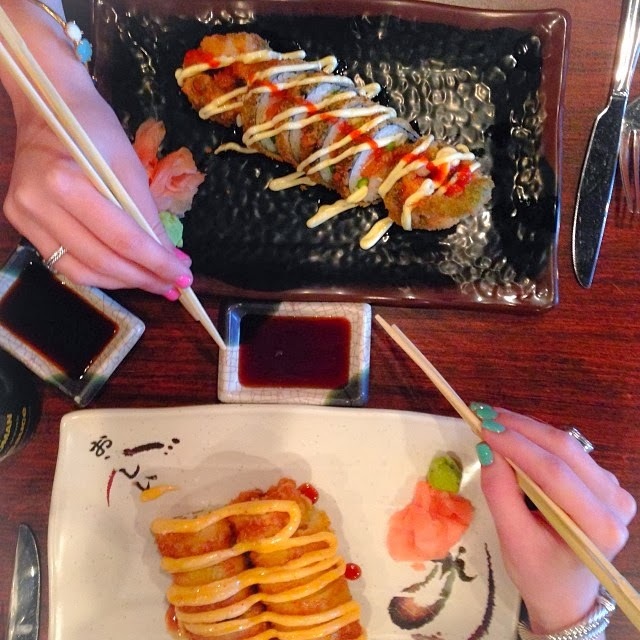 It's the perfect way to prep for spring break and start off your weekend! 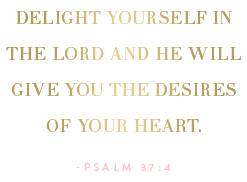 You can enter by clicking here. Who wouldn't love to win a fresh pair of Jacks! Wishing everyone a fantastic Friday! Stay Tuned! 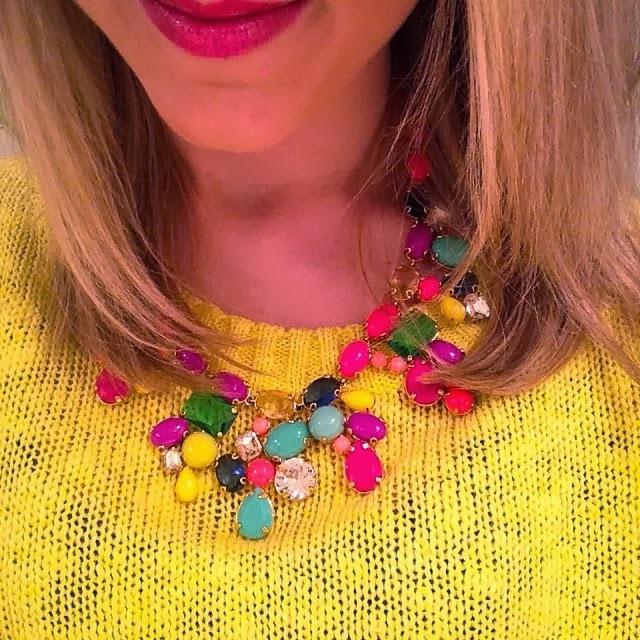 I love the bright colored necklace! Love it all! 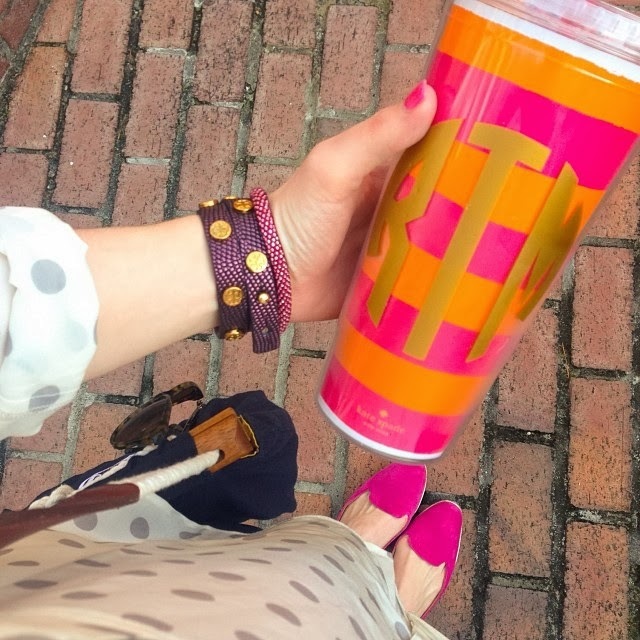 I'm obsessed with monogram tumblers right now! 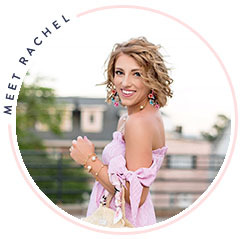 I love your monogram tumbler, so cute. Love all these pics. Have a lovely weekend. The necklace, nails, and tumblr are all adorable! Hope you are having a good weekend! loving your polish color dear!